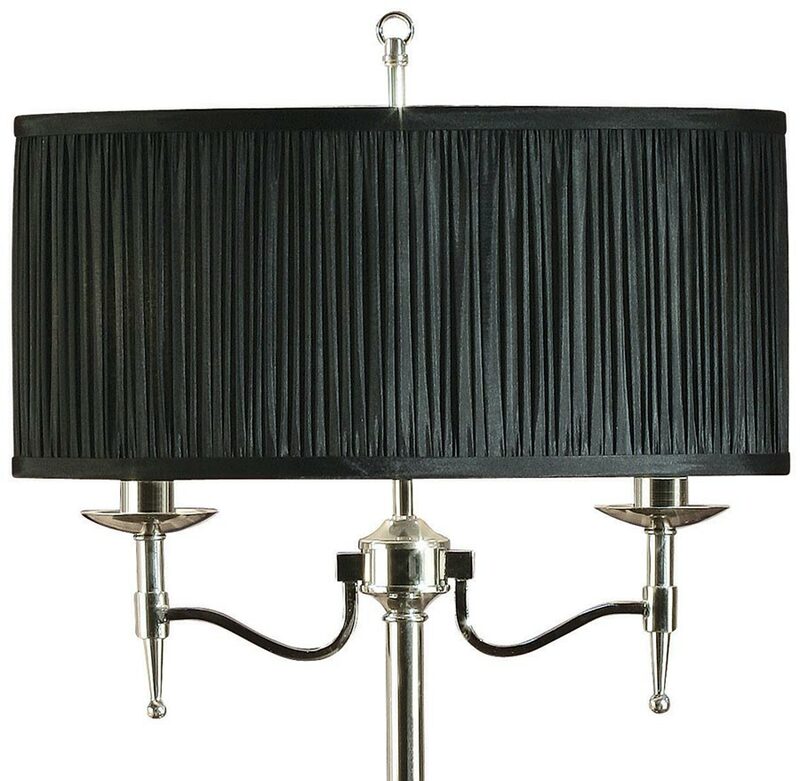 The Stanford 2 light candelabra table lamp in polished nickel, with beautifully curved arms and simple clean detailing, surrounded by an oval black pleated fabric shade. 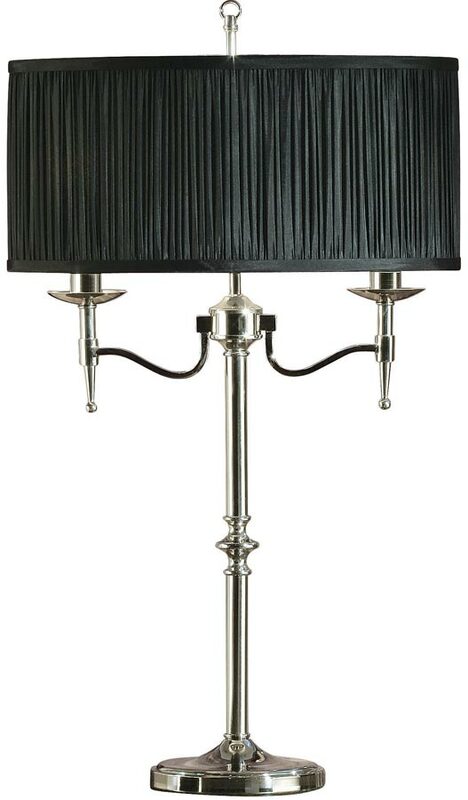 A magnificent, highly polished nickel 2 light table lamp, with circular base and slender stem, two polished nickel curved arms radiate from the centre, featuring candle drips, candle tubes and lower drop finial. Surrounded by an oval pleated black faux silk lamp shade. This is a large table lamp that stands 76cm high, the perfect addition to a traditional or contemporary living or dining room. Fitted with an inline cable switch for convenience.